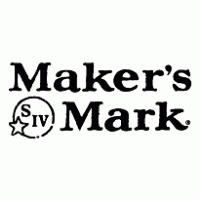 Maker's Mark is one of the most recognised small-batch, handmade Kentucky bourbons out there. Known for its distinctive bottle and trademarked red-wax sealed neck, it has been around since 1958. It is one of only a few American-made whiskies to use the traditional 'whisky' spelling on its labels. The S IV on the label represents S for the Samuels distillery family and IV for the fourth generation of Samuels who started the Maker's Mark line. Maker's Mark is unusual in that they do not use any rye as part of the mash. Instead red winter wheat is used, along with corn (the predominant grain) and malted barley. The winter wheat gives Maker's Mark a soft and mellow flavour profile. Maker's Mark is aged for around six years, and is bottled only when the company's tasters agree that it is ready. The barrels are rotated from the upper to the lower levels of the distiller's warehouses during the aging process to even out the differences in temperature during the process. The upper floors are exposed to the greatest temperature variations during the year, so rotating the barrels ensures that the bourbon in all the barrels has the same quality and taste. 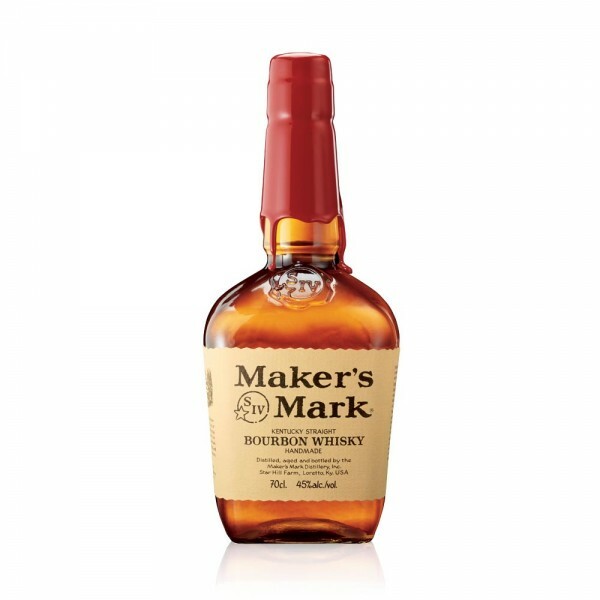 Maker's Mark noses up with woody oak and vanilla caramel and goes down smooth and subtle with caramel and fruitiness. Back in the early 1950s, most bourbons were harsh, hot and prone to blowing your ears off. Bill Samuels, Sr., a sixth-generation Kentucky distiller, wanted no part of that. So he literally burned his family’s bourbon recipe. He then started over with one goal: to create a bourbon that he would actually enjoy drinking. Among Bill’s many revolutionary ideas was substituting gentle red winter wheat for the usual flavor grain. The result was Maker’s Mark – the first handmade premium bourbon, one that’s full-flavored yet remarkably easy to drink. Over the past 60 years, it’s been embraced by both whisky connoisseurs, as well as people who didn’t think they liked bourbon. Today, even though Maker’s is known around the world, every bottle is still made in the same place, the same way, and still hand-dipped in the now-iconic red wax.